HVAC/R field service providers have specific needs that typical cookie-cutter construction and contractor software can’t meet alone, so additional software must be installed to compensate for the deficiencies. ProfitZoom is configured to fit all your requirements in one single but powerful system. The competition among HVAC companies can be tough. By staying nimble, reducing overhead expenses, and providing efficient customer service, your company can keep a competitive edge. 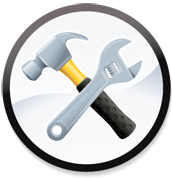 ProfitZoom helps you and your team get back to the business of HVAC installs and services. Take advantage of our investment in your industry and propel your business to new levels.